Closets are sneaky. As with most storage areas in our home, most of us don’t put much thought into our closets. After all, it’s just an area of your home you visit for a few minutes a day before moving on. Then, one day you walk into your closet and are ambushed with the realization that it’s overwhelmed with stuff. Sneaky, like we said. Every closet is susceptible. Without an occasional declutter, even the most organized closets will become overwhelmed, making it more difficult to find and select clothing and costing you valuable minutes each day. So, how can you stop from being ambushed? Here are 5 signs that indicate it’s time to declutter your closet. While there is no exact guideline for how much space should be between each hanger (space in your closet may adjust with the seasons), there should be at least some amount of space. If hanging up clean clothes requires a massive shove to move aside your existing clothes, then it’s time to declutter. Find yourself having to search for hangers when putting away clean clothes? Resist the urge to run out a buy more. At some point, even the ultimate walk-in closet system will get overwhelmed if you keep adding clothing unchecked. Instead, take a critical look at your clothes. In a previous blog, we helpfully highlighted 6 questions to ask yourself when deciding whether you should keep an article of clothing. Whether it’s changing jobs or changing seasons, times of transition are a signal that it’s time to take another look at your closet contents. Retiring, switching to a job that allows more casual clothing or transitioning from summer to fall? Take the opportunity to weed out those clothing items you’ll no longer need or no longer love and donate them to someone who will. Are clothing piles appearing outside your closet? On top of a dresser or draped over the end of the bed? While you may argue it’s just laziness, an overcrowded closet hinders organization by making it harder to put away clothes. If clothing piles are mysteriously appearing overnight like crop circles, it’s likely a sign that your closet needs a declutter. Struggling to locate the shirt you want? If you frequently ‘lose’ articles of clothing, only to find them later, it’s time to declutter. Save yourself time and money by cleaning out your closet to ensure that the items you do have are easy to find and easily accessible. Did you nod your head yes to one or more of the 5 signs listed above? Never fear, we’ve got your next steps handled as well. Tackle your closet declutter like a pro with our previous blog posts covering the 5 Steps to Organizing Your Closet and our closet tips on What to Hang Vs. What to Fold. Decided your closet needs a bit more help than just a declutter? 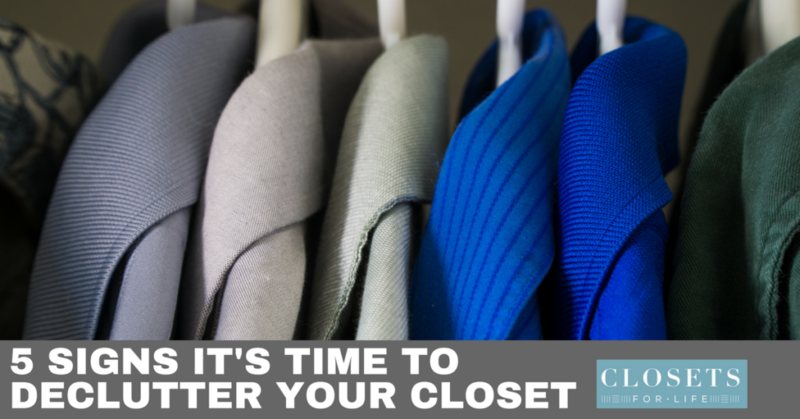 Closets For Life can help! 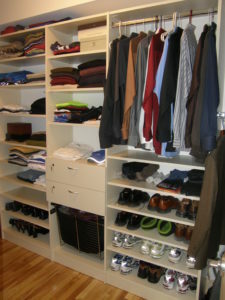 We design, manufacture and install custom closet systems for closets large and small. Head on over to our project gallery for inspiration and when you are ready, reach out to us for a FREE in-home consultation! We’ll come out to your home to discuss your needs and measure your space and within two days of our visit, follow up with a 3D CAD design of our proposed layout. All free of charge! 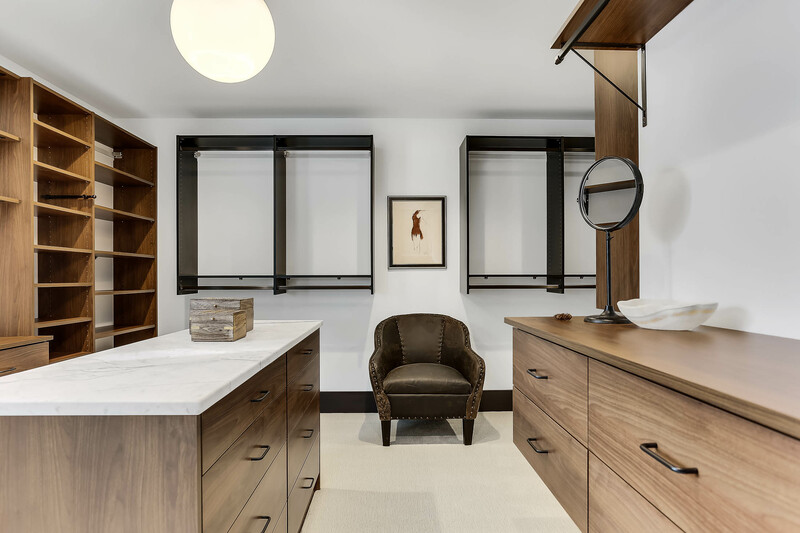 Once finalized, our custom closet systems are manufactured locally and typically installed in just two weeks. What do you have to lose? Contact us today!